Unique training on application of technology for effective management strategy, marketing, Finance and HR. A unique approach. Training and Certifications from industry partners (ZTE, Webtrainings, ESCI, Huawei, SalesForce, Brio Factors, INSOFE, DreamUny, SANCTUS IT, VGROWSOFT, iB HUBs ) on core skills required to excel at work place. Only college in Hyderabad* received 5 out of 5 stars from Justdial for five consecutive years (2015 to 2019). 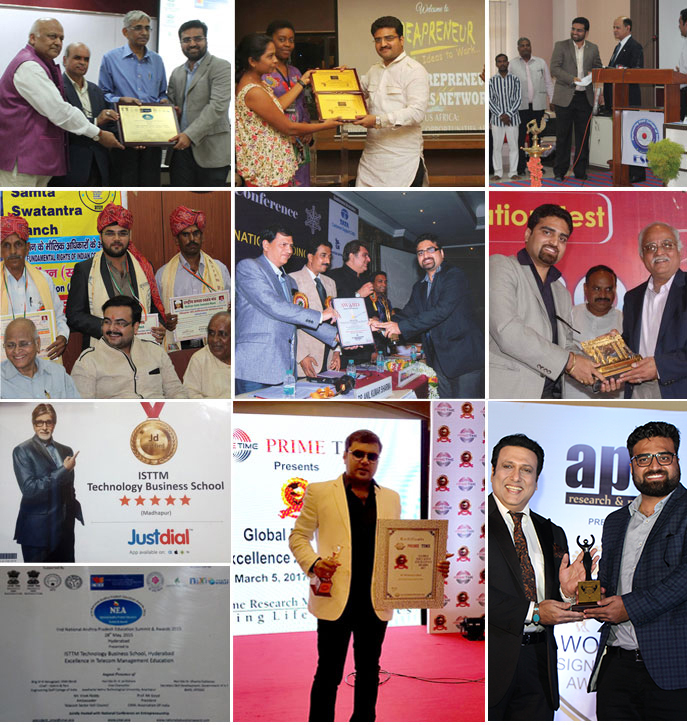 ISTTM Received "World Signature Awards 2019" for India’s Leading Business School for Quality Education. ISTTM Received Global Excellence Award 2017 for Top Leading Business School in India. "Best Business School in Andhra Pradesh and Telangana states-2015" winner from IInd National Andhra Pradesh Education Summit & Awards. "Super Quality Crown Award-2015" winner from AIESAC (All India Economy Survey Award Council). "Royal Excellence award" winner from Asia Education summit for 2014.